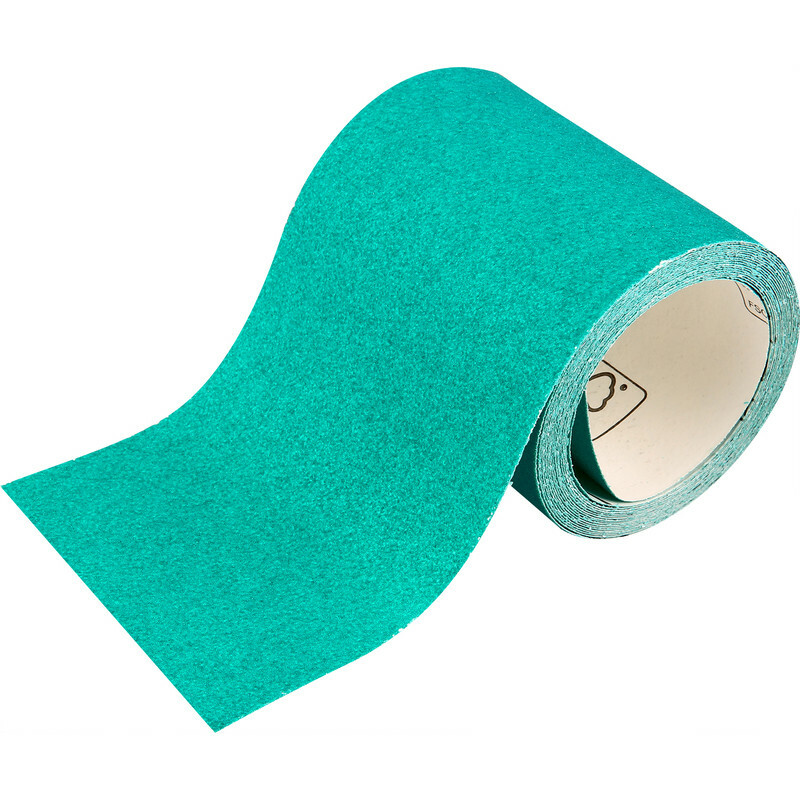 Oakey Liberty Green Alox Sanding Roll 115mm 80 Grit 5m is rated 4.5 out of 5 by 6. Rated 5 out of 5 by Baboon56 from Rough n ready Good quality paper, doesn’t clog as some brand. Rated 5 out of 5 by emver from Worth the extra cost Looks expensive compared to the cheap alternatives, but better in every way and well worth the extra cost. Rated 2 out of 5 by RobbieM from A bit disappointed I bought this sandpaper as I expected Oakley to be a good brand. Using with an orbital sander on dry plaster it worked a treat BUT it wore down to the white backing surprisingly quickly. Rated 5 out of 5 by Alasdair82 from Good Stuff Better than cheaper alternatives, good quality product. Although more expensive you get what you pay for. Rated 5 out of 5 by cgcgcg from Fantastic quality. Worth every penny. Much better than cheaper sandpaper. Very durable paper backing. Doesn't clog easily. Rated 5 out of 5 by balddric from great service good selection. Use click and collect , pick up goods on the way to a job.very good quality paper, not always possible locally.